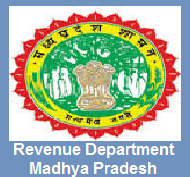 Revenue Department Madhya Pradesh Jobs Recruitment Notification 2018.Revenue Department Madhya Pradesh inviting applications for the positions of Patwari.Interested and Eligible candidates can apply for the positions. Last Date for Submission of Application is on July 28th, 2018..
1. Educational Qualification: Candidates should have Graduation Degree or equivalent examinations from any recognized University / institute. 2. pay Scale: Rs. 5200 - 20200/- With 2100/- Grade Pay which is offered by Revenue Department Madhya Pradesh. Age: 18 to 45 Years as on 01-01-2018. Selection on the basis of their performance in Merit List that will be taken by the recruitment panel of organization. Starting Date of Online Registration of Application Form Is : 16-07-2018. Last Date of Online Application Is : 28-07-2018.